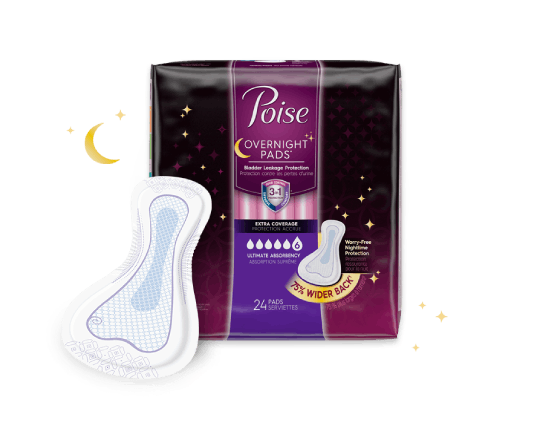 You may have experienced them already: extra inches around the waist; gasping for air after climbing one flight of stairs; needing help to move boxes around the house; and, of course, night-time hot flashes and the subsequent sleep-deprived feeling the next day. What do all these have in common? As we say in Spanish, "The calendar does not forgive." These feelings can be worse if you haven't taken care of your body through healthy eating and regular exercise, but is there anything that can really turn the clock back? Turns out that sweating the right way can be the best anti-aging medicine around. And by not exercising, you actually fall further into an aging downward spiral: Reduced body mass, increased body fat, and slower metabolism all affect your energy levels, which makes it even harder to hit the treadmill. Your pick-me-up energy relies on exercise. Physical activity stimulates your feel-good hormones while reducing stress. In fact, exercise favors the availability of the amino-acid tryptophan which aids in the production of the feeling good serotonin neurotransmitter after 30 minutes of pumping your muscles, and the effect can last up to 90 minutes, according to a study published in Medicine & Exercise Science in Sports & Exercise. Don't think that all is lost just because you have hit your 50s. In a recent University of Maryland study, fifty healthy, sedentary men and women ages 65 and older completed about five months of lower-body strengthening exercises. Overall, the participants improved lower body strength, power and body composition (meaning less fat and more muscle). According to study's author, Ben Hurley, Ph.D., "a gain of 2.2 pounds of fat-free mass resulted in improved physical function ranging between 7 to 20 seconds when walking or climbing the stairs. Change How You Think - From "I Have To" to "I Want To"
The evidence shows you can rejuvenate your body at any age once you begin to exercise even if the last time you wore your sneakers was to run to the supermarket. The most daunting obstacle to overcome is not your age or lack of time, but rather making that commitment to begin. Your first step to regular workouts is to find something you really enjoy and get rid of the mindset that you "have to" exercise. You should want to. Once you make that mental switch, you will become more empowered and exercise will become part of your lifestyle. How will you find that special something? Analyze your personality and tastes. For instance, if you like to be surrounded by people, opt for group-style class instead of solo outings. Fitness DVDs are a good way to try different exercise experiences from yoga to resistance training to dancing. This way, you can sample several possibilities. Once you have an idea of what you like, you can move past what experts call the pre- and contemplation stage. This is when you want to do something, and have evaluated the pros and cons, but have yet to take a specific action. a) Set up a goal: While it is good to have a long-term goal (such as dropping X number of pounds, exercising five days a week, running your first 10K, etc. ), it is even more important is to have several mini, short-term goals that lead to the bigger ones. Experts agree that the feeling of achievement is a necessary fuel to help you stick with a plan and keep you on track. When setting your goals, keep in mind they must be individual (it's your goal, not someone else's), realistic (be honest about the time and days per week you can commit; it doesn't matter if it is just 10 minutes a day as long as you are consistent), and neither too hard at first nor too easy. b) Clear action plan: After you have set up your goal (i.e., working out three times a week in a gym for 20 minutes), write down the type of exercise(s), what equipment you need, how much it costs and other expenses like gym membership. The clearer the plan, the better the outcome. Likewise, write down the most common possible obstacles you may face (unexpected meetings, work events, etc.) and how you plan to overcome them. Always have a backup plan. You won't be able to stick to your plan 100% of the time; 80% is fine. If you're not hitting the mark 80% of the time, change your plan. c) Tell everyone: No need for a full PR campaign, but make sure your friends and family are aware of your new fitness endeavor. Their support will be valuable. d) Respect your plan: Exercising is not a luxury or leisure time, even though you should have fun while doing it. Exercise is a medical appointment without the tests and paperwork. It will make you feel and look healthier and younger. So don't feel bad if you have to rearrange your life at times to make this important meeting. e) Set up rewards and periodic re-evaluations: Next to your mini goals, pencil in some mini rewards like a new dress or a massage, but make sure it is something you truly look forward to. Reevaluate your goals and exercise plan every three weeks to avoid reaching a plateau. f) Believe: Positive thinking has been shown to improve health, exercise behaviors, exercise adherence, and overall optimism across a lifespan. "Specifically, research has indicated that individuals who think they can lose weight or increase their physical activity typically do," says Charmaine Defranceso, Ph.D., associate professor of movement science and sports psychology at Florida State University. What type of workout works? What exercises are best for fighting menopause? A study from the Department of Physiotherapy, College of Medicine, from University of Ibadan, Nigeria, shows that a 10-station circuit of muscular and cardiovascular endurance, flexibility, coordination, abdominal, and pelvic floor muscle exercises significantly improved the most common menopause issues such as hot flashes, lack of energy, depression, anxiety, and weight gain among 175 women, median age 52, in just 12 weeks. 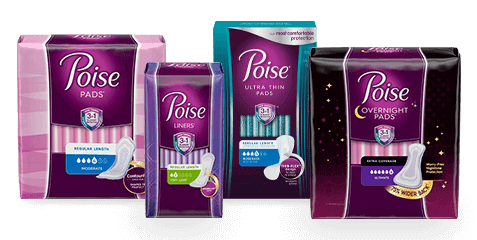 Are Poise<sup>&reg;</sup> pads unscented? Can exercise slow down the aging process?